We are so excited to be sharing fun ideas for co-worker, neighbor and friend gifts featuring our Home for the Holidays Collection. Our Design Team has done a wonderful job and we can't wait to share with you!! Let’s be honest, we all have so much to do to prepare for the holiday season. Sometimes we just can’t do it all. As much as we’d like to make everything from scratch, sometimes we have to resort to store-bought goodies for our neighbors, friends, and teachers. Don’t feel guilty about not making every little thing from start to finish – but consider adding a homemade touch by creating handmade packaging for your little gifts. Here are some quick and easy ideas for doing just that! Almost everyone loves a good cup of hot cocoa on a cold evening. 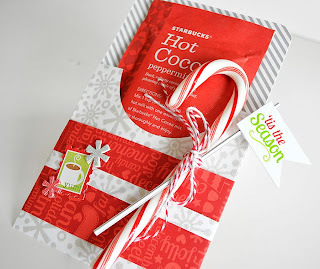 Create a little pocket from patterned paper to tuck the cocoa packet into. 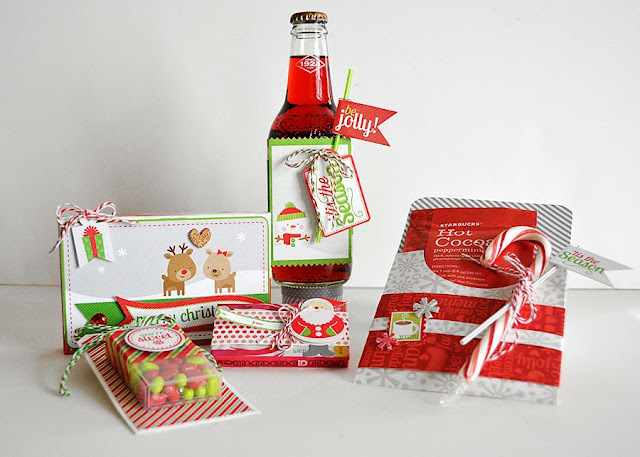 Embellish with more patterned paper, stickers, a pixie, and a candy cane for good measure! My kids love chewing gum. Most of their friends do too. Having a pack of their very own is definitely a prized gift! This is simple enough for the kids to make for their friends – simply wrap a strip of patterned paper around a pack of gum. 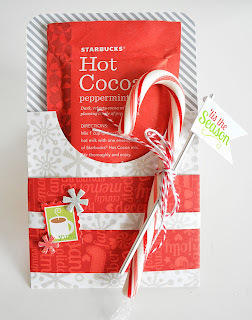 Add a cute sticker and a tag tied with baker’s twine - so easy and oh so cute!! 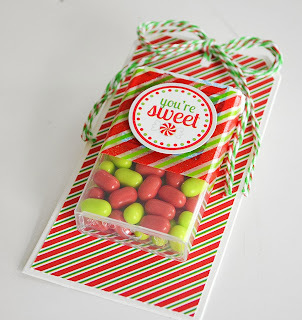 Peppermint Crunch Junior mints are one of my all-time favorite holiday treats (I wish they made them all year round!). 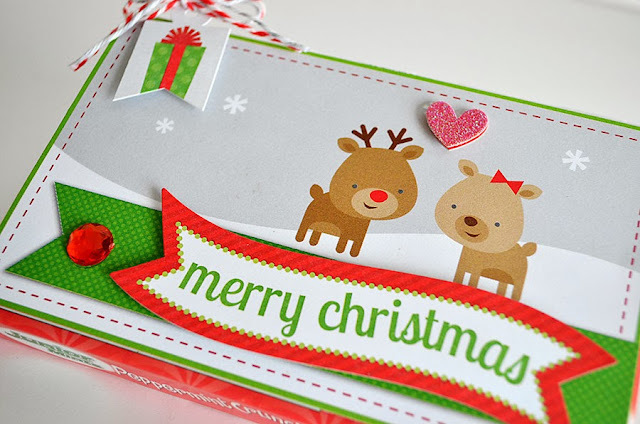 Adding a 4x6 card from the album insert booklet is the perfect way to embellish this box of goodies! Flavored Soda is fun treat to share! 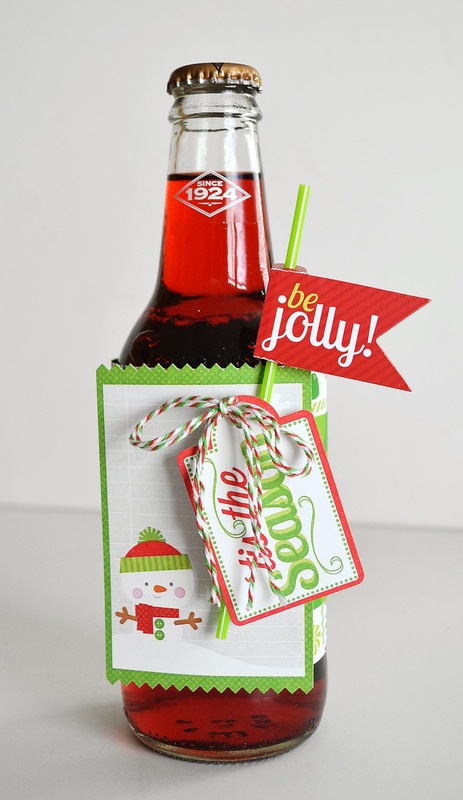 Simply wrap patterned paper around a bottle of red (or green) soda. Add a sticker label, tag, and pixie to embellish the front. 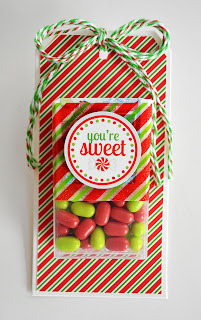 You know what they say…”put a tic tac in your mouth and get a BANG out of life!” Giving a pack of holiday colored tic tacs is a sure way to make someone happy! 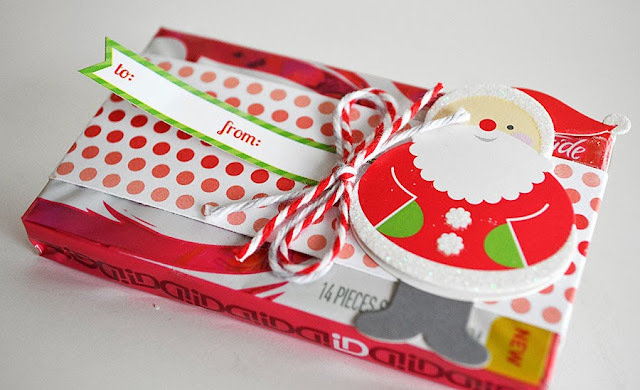 Wrap washi tape around the top part of the container and place a cute sticker on top. 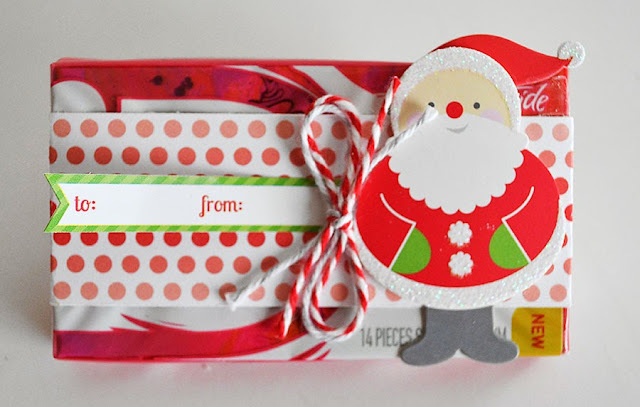 Create a tag with patterned paper and attach the tic tac box directly to the tag. There’s plenty of room to add a name or greeting below the box. 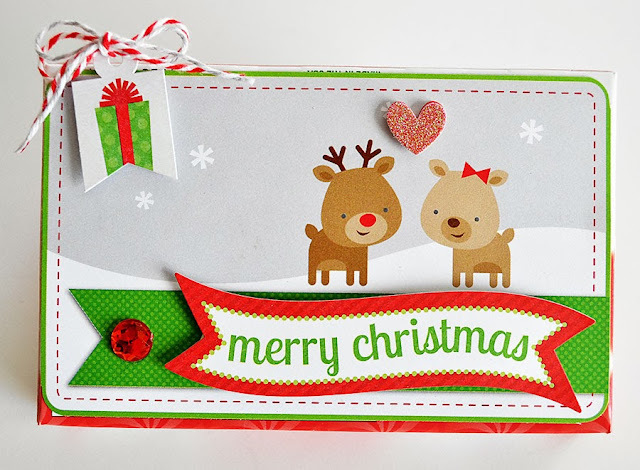 This would also be a cute gift topper! 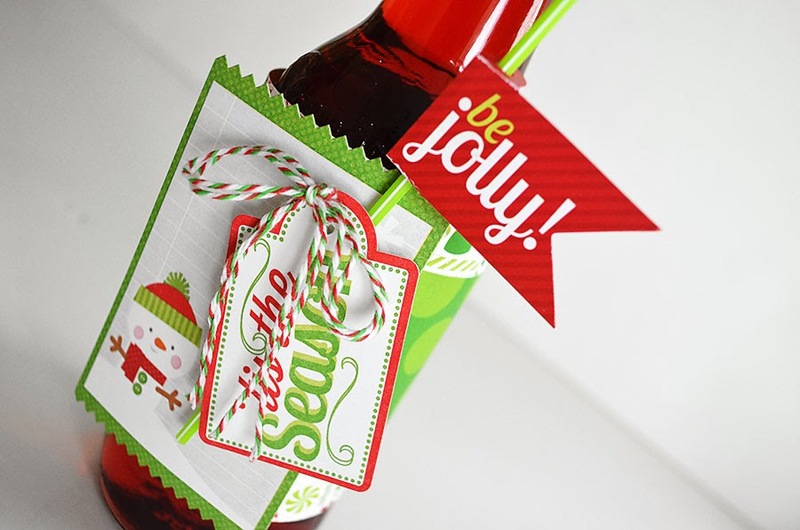 I hope these ideas have inspired you to give yourself permission to relax a bit – don’t stress – and have fun decorating some store-bought, sure-fire delicious treats for the holidays! I wish you were MY neighbor, Wendy Sue!!! I would love receiving this! very fun! 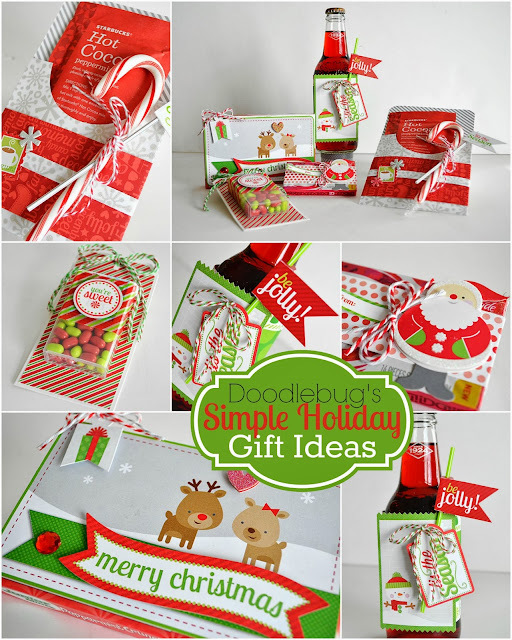 I love these darling ideas. I'm always looking for quick little gifts like these.